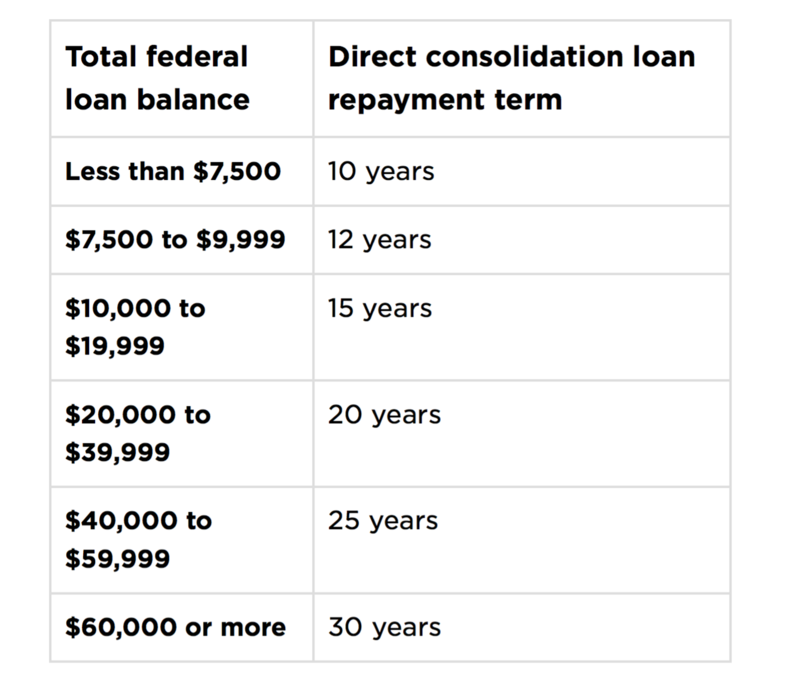 If you choose to consolidate your federal loans, the federal government pays off your existing loan balance and replaces your loans with a direct consolidation loan. What should you expect? 1. A new interest rate, which is the weighted average of all your prior loans’ rates rounded up to the nearest one-eighth of 1%. (If the average comes to 4.36%, for instance, your new interest rate will be 4.475%.) Interest rates on direct loans are fixed, which is different from a variable rate, which can fluctuate based on market conditions. What are some of the advantages? For one, you can postpone payments on a loan during times of economic hardship. You are also given theopportunity to take advantage of plans that allow you to make payments tied to your income. Remember, consolidating your loans with the federal government is free. You can consolidate your loans through studentloans.gov.